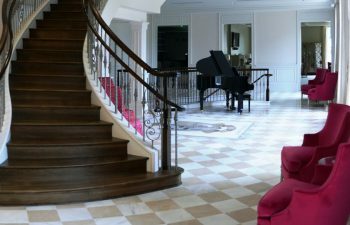 When designing and constructing a unique, custom staircase, our team follows a turnkey approach to ensure all stairs are built to the highest quality and safety standards. Last week, we discussed custom staircase design steps 1 – 3. This week, we pick up right where we left off. At this point the client has worked collaboratively with the design team to identify the style and components they envision for their custom staircase. Now, how do we bring this vision to life? Our team is proud of our successful history in bringing innovative custom staircase designs to life. To ensure flawless installation and a perfect fit, our experts measure the space for exact stair placement. The team then provides each client with CAD drawings which include complete stair details. [View a sample CAD drawing.] Once the client approves all drawings, the construction process will move forward. Leveraging experience and a strong expertise in building codes and regulations, our team will deliver a custom staircase that is not only aesthetically pleasing, but safe and durable as well. Each custom staircase is built within our advanced and sophisticated facility. With access to leading staircase technology and extensive capability, our team constructs each custom staircase as a true work of art. To best fit our clients’ needs we offer several options for custom stairs installation. From simple delivery to turnkey installation, we have the capabilities to satisfy your needs and budget. The staircase will be crated and shipped to the job site for installation by your trim subcontractor. The staircase will be delivered to the job site and installed by our craftsmen. Loose handrail parts will also be delivered, and your trim subcontractor will handle installation. The staircase will be delivered and installed by our expert team, followed by the delivery of a pre-fit handrail system to be installed by your trim subcontractor. 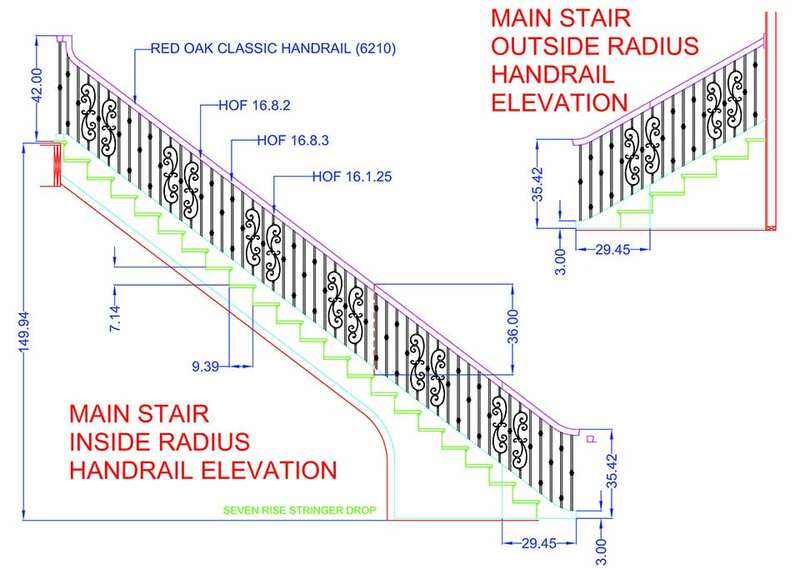 In the prefabricated, or dry-fit, process, the handrail system is cut to fit and installed on the staircase in our facility, complete with newels, balusters and fittings. The system is then packaged into a kit form for easy installation at the job site. Many clients choose our turnkey installation option, through which our team delivers and installs the complete staircase with pre-fit handrail system. With a single point of contact and a proven project management system, this approach ensures flawless execution and a seamless installation process.